These phones attenuate the input signal so that it doesn’t exceed a level that can cause permanent damage to the listener’s ears. Kids are on electronic devices more than ever before. Smart phones, tablets, music players, and gaming devices are just some of the devices kids interact with. Headphones are a key part of that experience, and parents have rightly been concerned about the long-term effects headphones can have on children’s hearing. Some manufacturers have been very responsible in this area and allow parents to lock in volume limits. For the overwhelming number of parents, however, they either don’t know how to do this or it’s just not a practical reality across every device. Puro Sound Labs is trying to make it easier for parents to protect kids’ hearing with their Healthy Ears, kid-friendly BT2200 headphones. Puro Sound Labs is trying to do two things with the BT2200: first offer a pair of headphones that protect kids hearing and second, make those headphones sound good and look cool. The BT2200 seemingly has all the features that parents and kids would want. On the kids’ side, the BT2200 is very appealing. It’s wireless. It will connect via Bluetooth to the latest and greatest smart phones and tablets. And the BT2200 gives kids days of wireless enjoyment. Puro says that the BT2200 will give 18 hours of battery life for music playback and 200 hours on standby. If a device doesn’t support Bluetooth, kids can plug them in and use them with a traditional wired cable. You get the best of both worlds. Equally important, the headphones look like normal, high-quality headphones. There’s nothing overly cute about them or something that would make kids feel embarrassed or awkward wearing them. 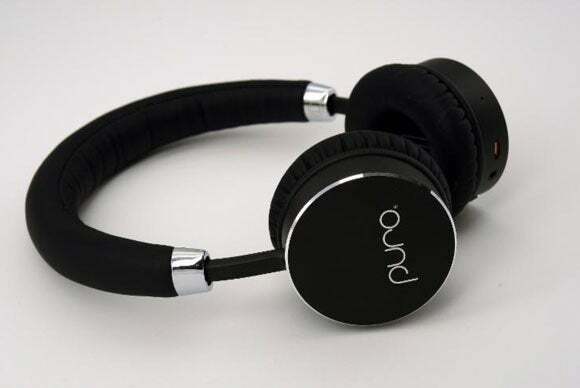 Puro Sound Labs says that a supple cushioning material and durable lightweight aluminum are used to make the headphones comfortable for young ears and that they stand up to everyday use. Their design also attenuates over 82% of ambient noise, eliminating a need for higher volume limits. The Puro Sound Labs BT2200 special black edition headphones come with a travel case. What happens when a child goes to a friend’s house? Puro has things covered. The BT2200’s fold flat for travel, making it easy for kids to bring the headphones with them. Of interest to parents, Puro says that the BT2200 automatically attenuates the volume produced by the headphones so that they don’t exceed the 85dB ceiling that has been known to cause hearing loss over time. On the technical side, a unique digital signal processor (DSP) handles that role for wireless connectivity. A unique limiter cable attenuates the sound output to 85 dB or less if the headphones are plugged in to a device. Puro also says that they will donate a portion of every sale through the rest of 2015 to the Hearing Health Foundation. Parents can know they are not only protecting their kids hearing but also helping support further research on hearing loss. The “Kid-friendly” Puro Sound Labs BT2200 are currently available for $80 in white/silver and tan/gold color schemes. Puro Sound Labs has also introduced a special black edition for the holidays that come with a hard travel case. 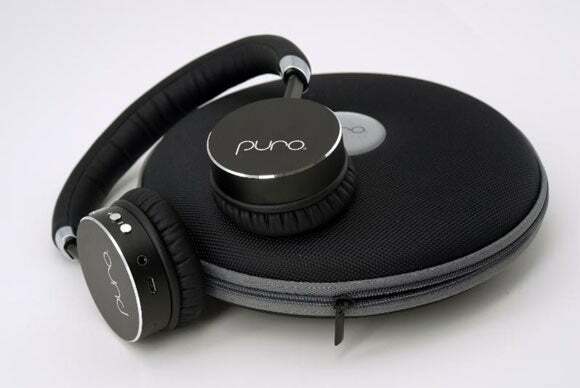 Puro Sound Labs’ BT2200 headphones are available through authorized online at amazon.com and purosound.com.